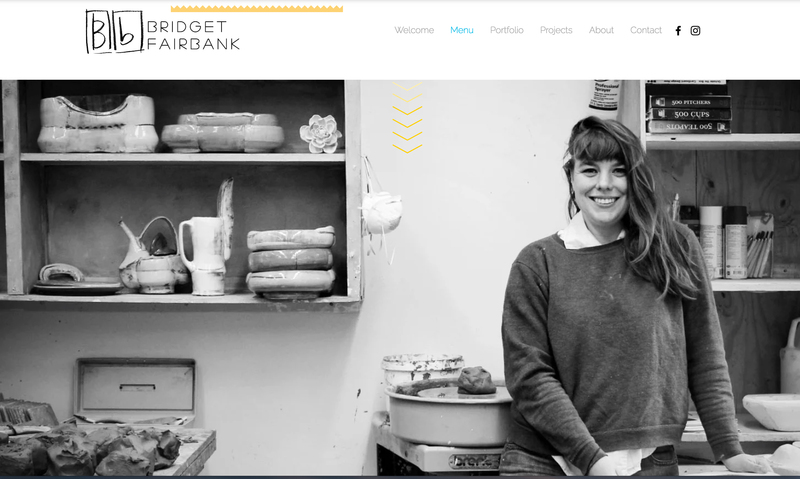 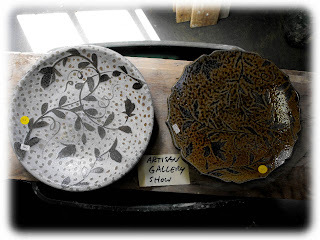 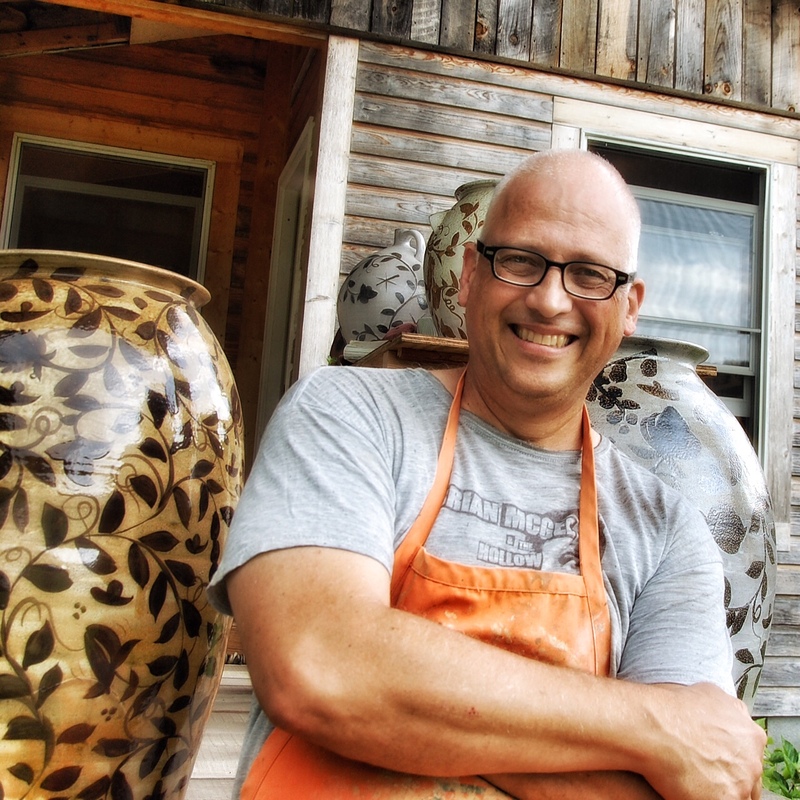 "As the Crow Flies: NC Neighbors"
My neighbor potters are Michael Hunt and Naomi Dalglish! 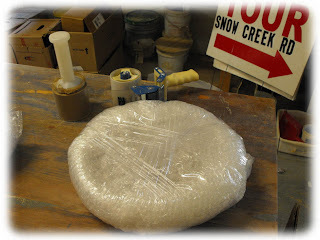 Here is how I wrapped the platters for safe shipping. 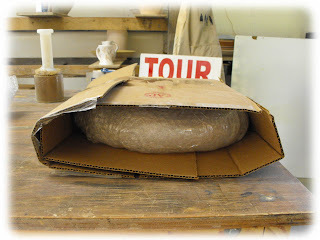 First I wrap with newsprint. 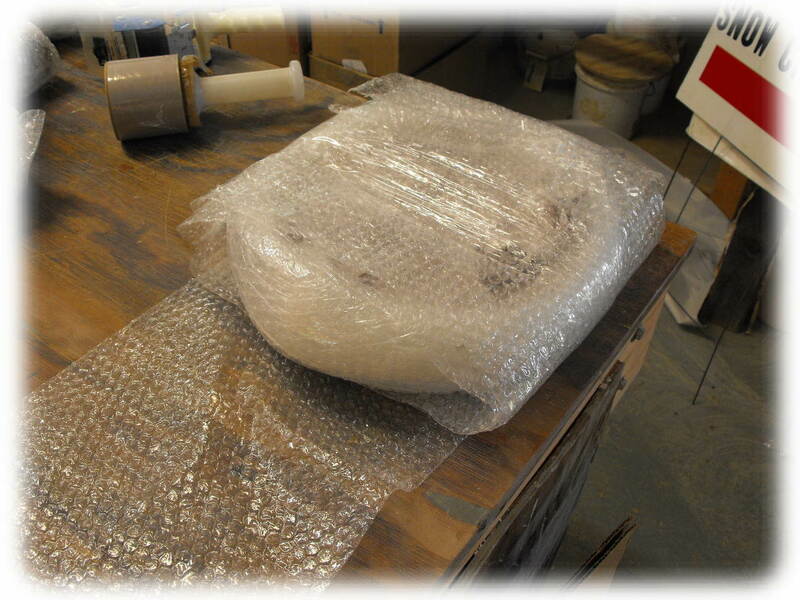 Then I wrap the edge with bubble wrap. Then the top and bottom are wrapped with bubble. 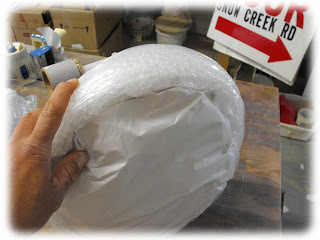 I like to use stretch wrap for fixing the bubble wrap. 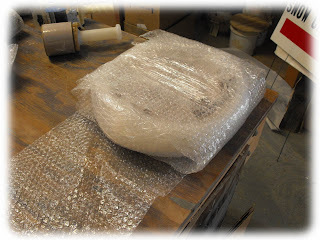 This allows the bubble wrap to be easily reused. making it, by a fraction, a bit more "green". 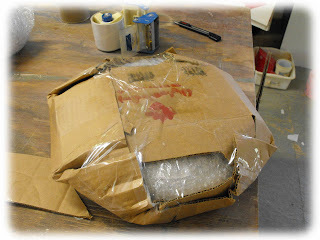 cardboard, giving it a little more protection. and hence a little easier to fold over. 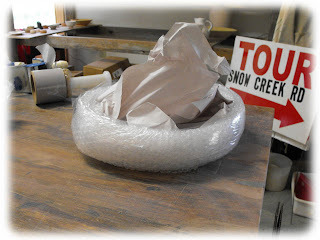 This is placed in the box with other pots and surrounded by peanuts. Sorry I didn't snap a picture of the packing arrangement. Off to Massachussetts these pots go. 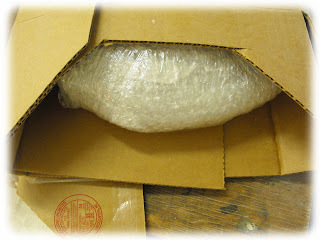 to Northampton in the next post!